Halloween is a time for dressing-up, trick-or-treating and eating delicious food at Halloween parties. For kids with food allergies and their parents, however, this day can cause a lot of anxiety due to potential exposure to common food allergens such as peanut, tree nuts, milk, eggs, wheat and soy. Parents have to be vigilant about the candy that their children collect, often having to say no to most candies that are offered. The mother of one of my patients said that they often have to forgo candy because it contains multiple ingredients that her son is allergic to. If this candy is accidentally eaten, the reaction can be fatal. “We have gotten used to picking and choosing the candies that we know are safe,” she says. A few weeks ago, my colleagues and I from University Consultants in Allergy and Immunology were among the sponsors of the Food Allergy Research and Education (FARE) walk to help raise awareness about food allergies. The kids were able to trick-or-treat at each of the sponsors’ tables, choosing treats such as stickers, pencils, glow sticks, bubbles and other non-food items. 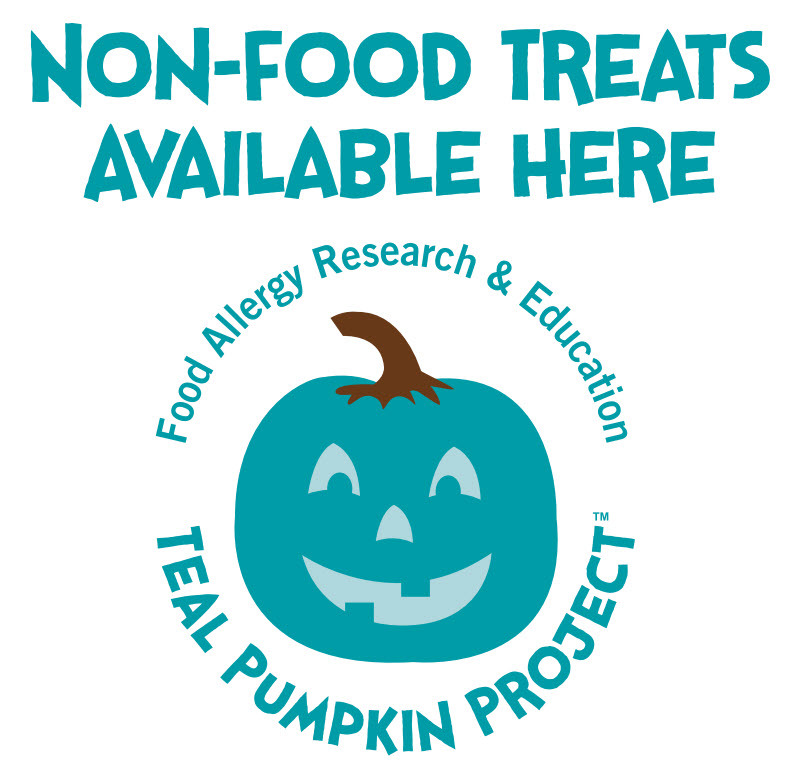 In 2014, FARE started the Teal Pumpkin Project, an initiative for kids with food allergies. Households can provide non-food item treats to children on Halloween. According to FARE, households from 50 states and seven countries participated in the Teal Pumpkin Project last year. This year, they are trying to get 100,000 households to pledge their support to participate . They encourage people to provide non-food treats, paint a pumpkin the color teal and place it in a visible spot in front of your home. You are also encouraged to place a FARE sign in your window to let kids and parents know that you have non-food treat items. I take care of children and adults with food allergies every day in the Allergy and Immunology department as well as in the Celiac Disease and Food Sensitivity Clinic. I am hoping that raising awareness will help people who have to deal with food avoidance on a daily basis. Susan Fox, PA-C, MMS, is a physician assistant with the Section of Allergy and Immunology at Rush. This entry was posted in Allergies, Children. Bookmark the permalink.